So i am back from Spain. I spent some very sunny days and enjoyed the weather and distance from the daily routine. 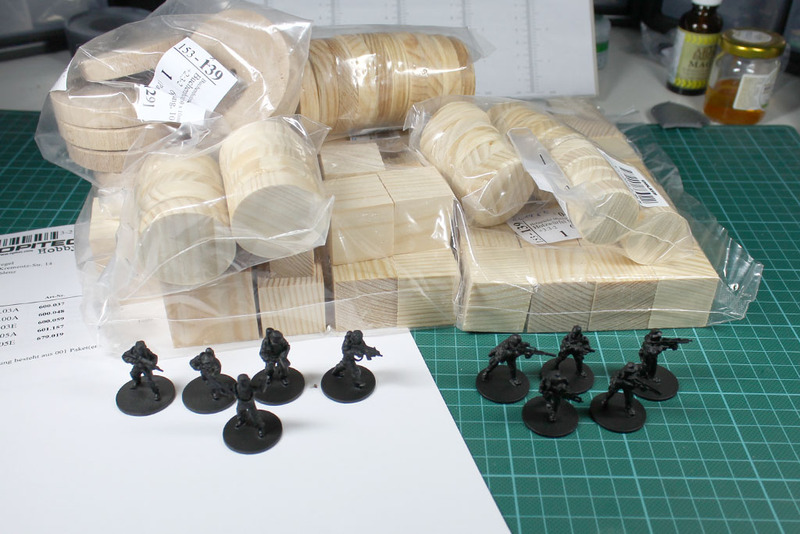 Crisis is coming closer and the Radaddel Wide Open Door Day (on which I'll be doing a seminar on the tabletop market and its further development). If you have the chance, visit both events on 2nd November in Antwerp and 9th in Rudolstadt. Today is match day at the soccer championship, Germany vs Sweden. I used the chance to catch up on some painting and want to share the current status with you. 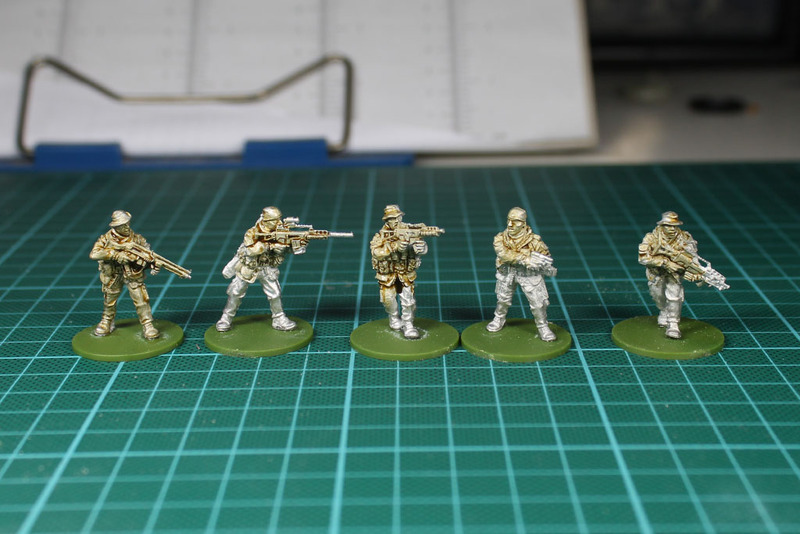 I based some Lead Adventure German Marines on flat Renedra Bases. 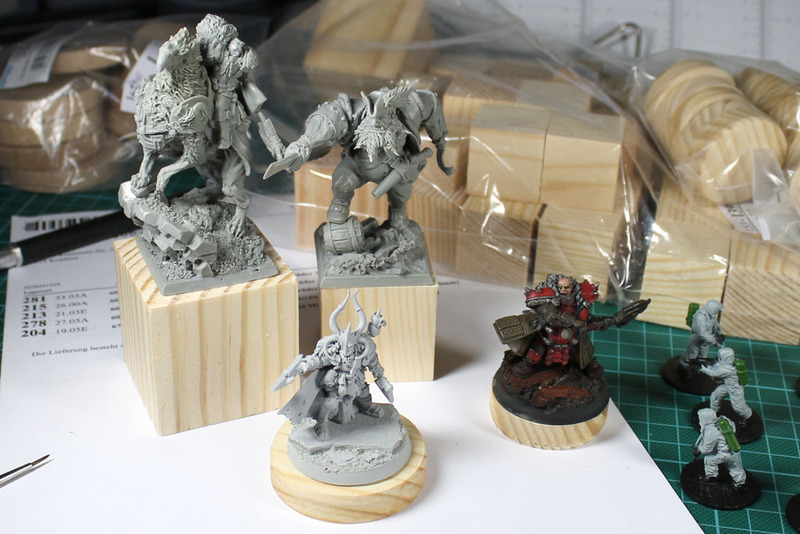 And today a little shipment of wooden pieces arrived, discs and cubes, as plinth for miniatures. The whole batch was just 16 Euro ... thats a bargain! 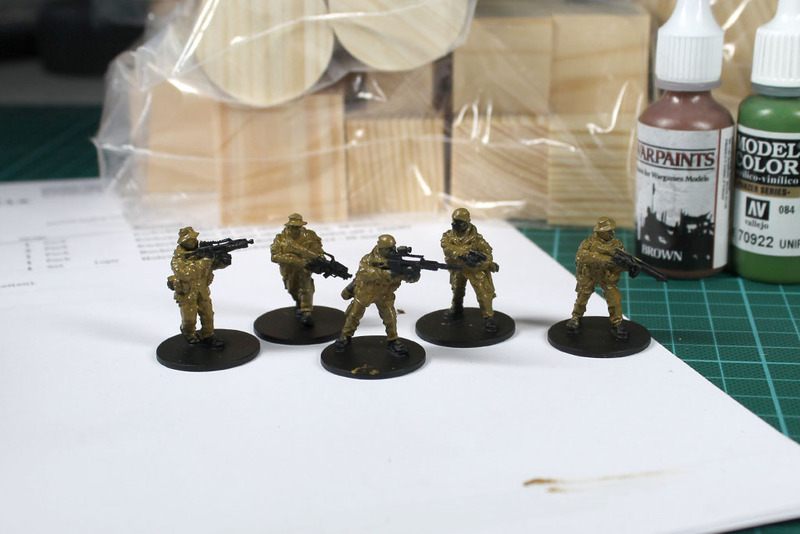 A quick black coat for the German Marines and the Hasslefree Hazmat Squad, so i could start painting. The wood pieces are a little bit rough and need a bit of shaping and filling here and there, but thats what you get for the price. 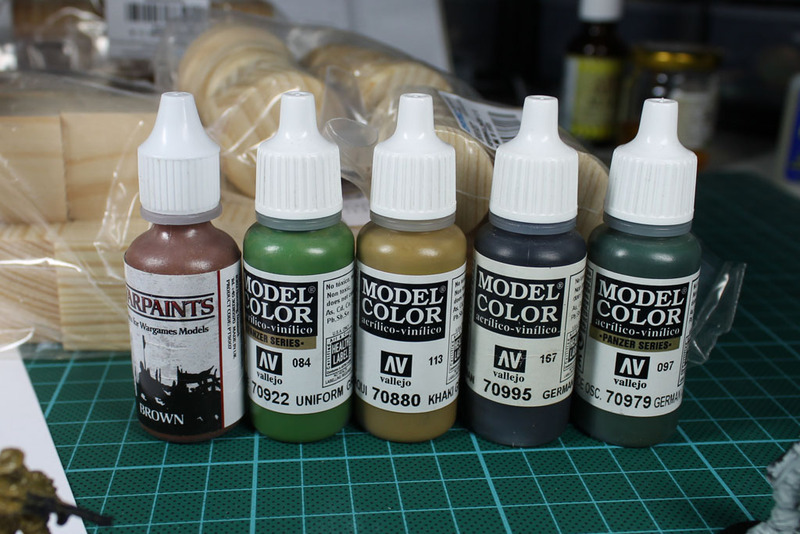 I am going to use them for my display miniatures and some limited thingies i own. 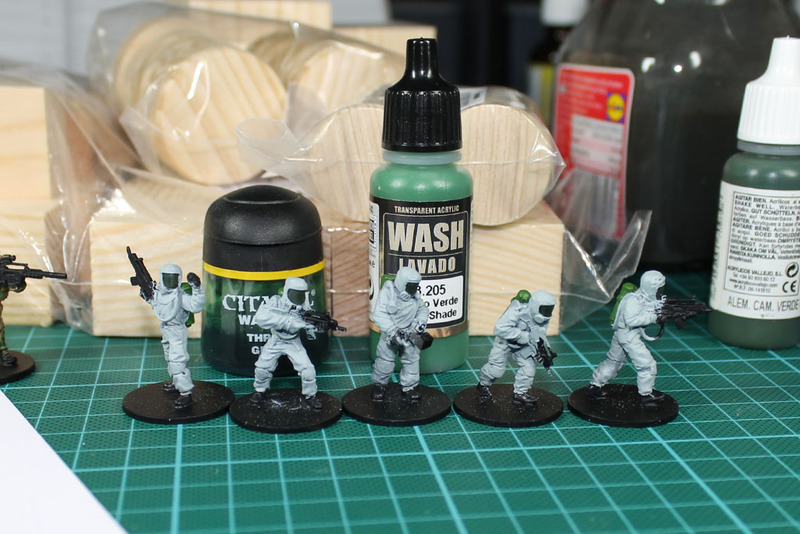 I gave the Hazmat Squad a neat coat of Adeptus Battlegrey and Khaki for the Marines. 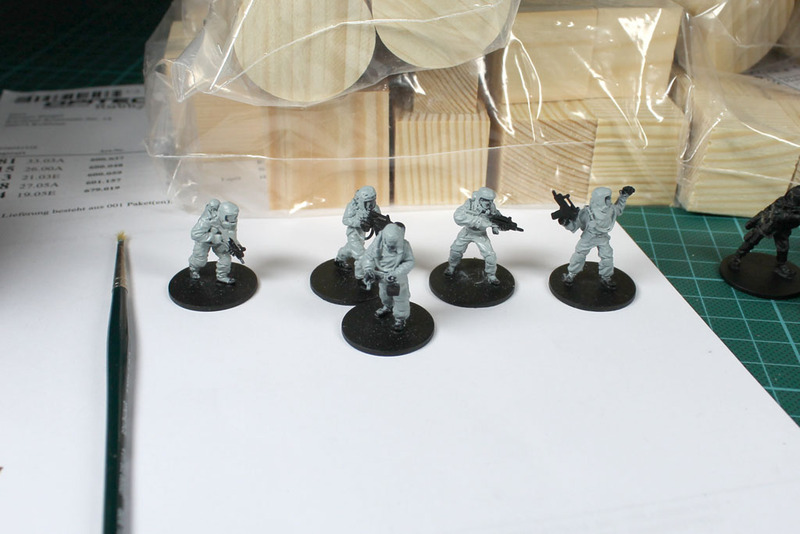 The Hazmat Suits will be a greyish green, like the german ABC troops. 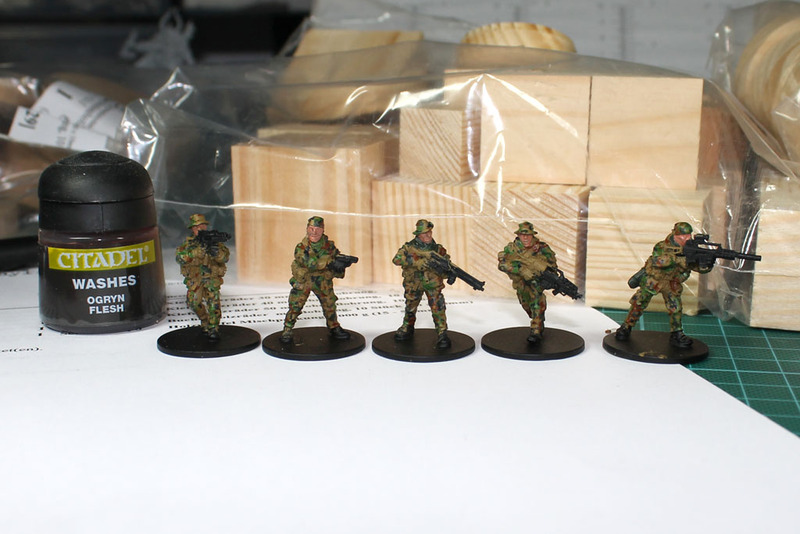 The Marines will get the Bundeswehr Flecktarn. I quickly grabbed a few vallejo colors from my desk and added spots. Both have the first layer of colors done and ready for a first wash. After that they 'll get a smooth drybrush and add some details. My Name is Ron Burgundy ... you stay classy San Diego.